St Paul’s has a well-equipped, contemporary library learning hub. We ask that all children have a library bag to protect their books. There is borrowing each week and parents are encouraged to show an interest in the books that your child borrows. Children also participate in formal library lessons each week. Each class has one library lesson each week, usually working on projects or activities related to a current unit of study whilst enhancing their research, report writing and information skills. Book studies focus on the shortlisted books of the yearly Children’s Book Council of Australia Annual Awards. 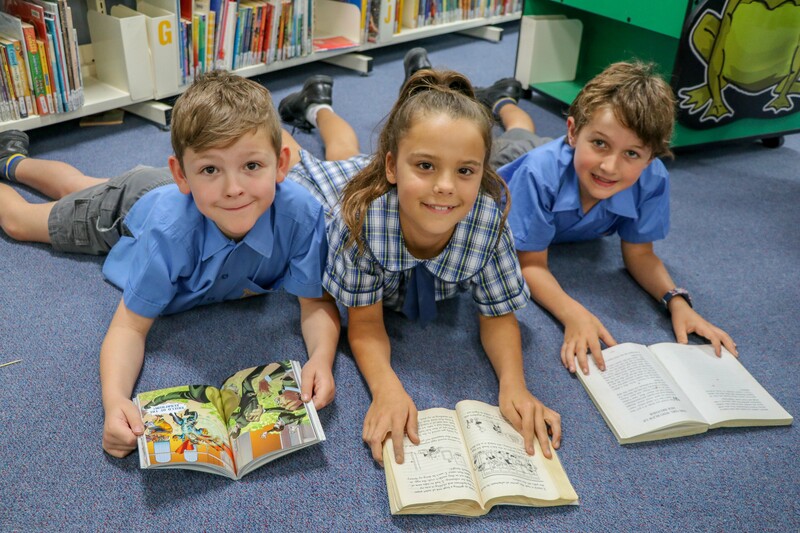 This leads us to Book Week held in August, where we celebrate with a special event such as a Book Week Costume Parade or a special presentation by a visiting author, magician or theatre group.